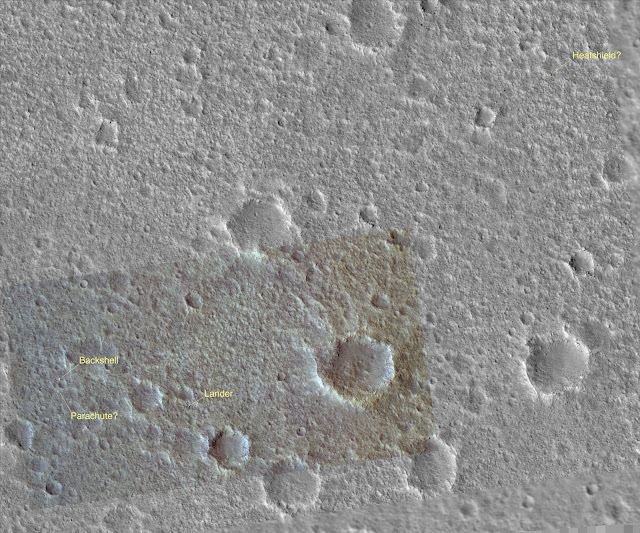 Today's Image of Mars shows the lander, backshell, parachute, and heatshield of Viking 1 as taken by HiRISE. 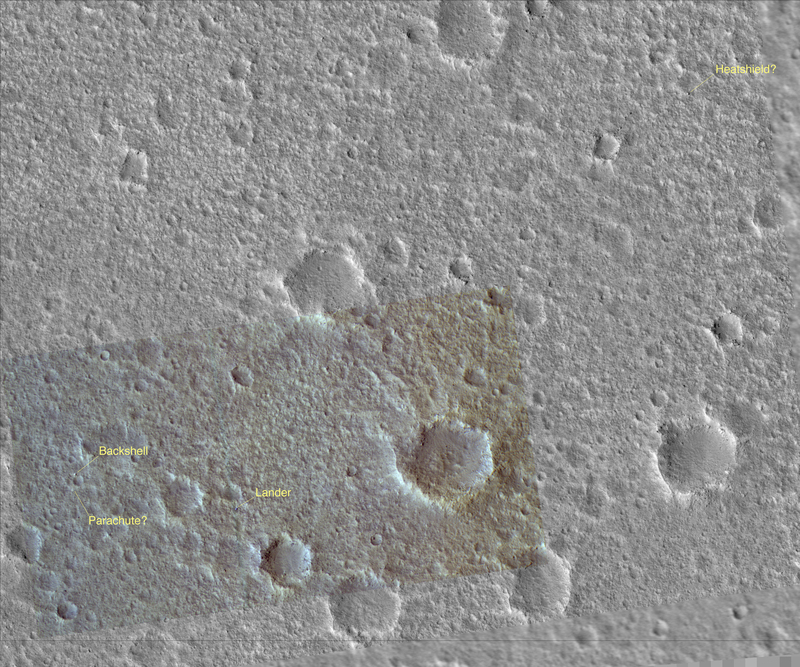 Scientists can tell that the location of the lander by comparing the topography to the images taken by the lander while it was still operational. The locations labeled in the image below are estimations based on examination of HiRISE images and images from the Viking 1 Lander itself. By comparing the orbital images with those from the lander, scientists will get a better idea of the size of rocks visible to us from orbit. Knowing this information will help to plan landing sites for future missions to Mars and ensure our spacecraft land on relatively flat terrain. Click on this image and a new window will open with the high resolution version. I recommend you do this if you actually want to see the lander, backshell, parachute, and heatshield.